Yona: Friends no play fair! Not equal teams! Smolder: The only rule in battle is to win! Gallus: Can’t argue with statistics. Most battles are won by those with the superior force! Smolder: Oh my scales, that is so cheesy! Silverstream: Cheesy? I don’t see any cheese! Do you get given cheese for this holiday????? Sandbar: It’s an adjective, Silver. Means very…. I don’t really know how to explain it. Yona: Yona surprised Griffon said something nice for his piece. Gallus: Hey. Griffons are jerks yeah, but sometimes, very rarely, we give something nice to others. Ocellus: Ooooh. What do you give? Gallus: The time of day. Sandbar: Whats happening in here??? Ocellus: Ooooh! I like experiments! Can I help? Can I Can I Can I???? Silverstream: I know! It’s adorable! Like a little filly bouncing for her cutie mark… I would imagine…. I don’t actually know. Can I join in the experiment too? Can I? Can I? Smolder Don’t worry Silver, we’ll get him when he sleeps. Gallus Sandbar. Remind me. Never fall asleep again on campus. 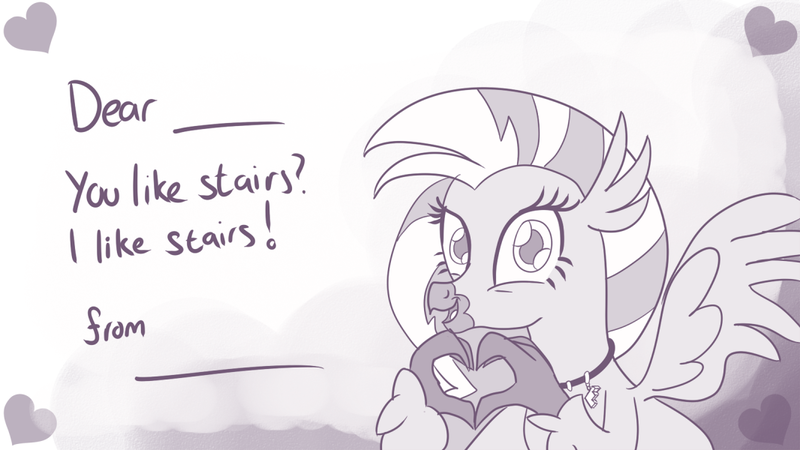 Silverstream: Aww! No fair! The boys are teaming up on us. Sandbar You’re assuming I don’t want to see how you’d act with a laser pointer. Yona Hah! Griffon has no backup plan now! Gallus Point. Ocellus. Remind me. Never fall asleep on campus. Gallus I’ll bring you back a book from Griffonstone next time I’m there. Ocellus: So basically... be yourself? Smolder: Long and short of it, yeah. Gallus: That seems uncharacteristically deep and poetic, coming from you. 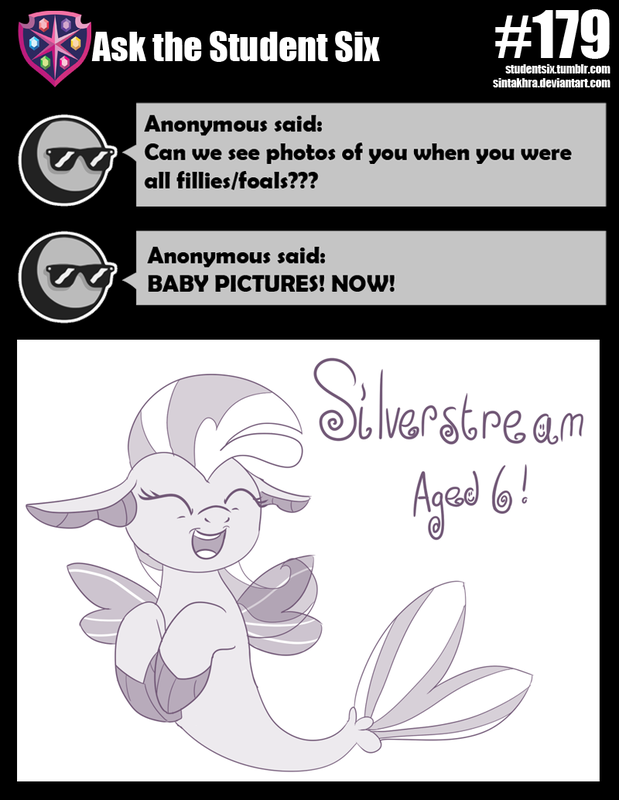 Silverstream: Poetic? None of that rhymed! Silly Gallus. Yona: Griffon was speaking of turn of phrase, friend Silver. Sandbar: Are we going to ignore the part where she briefly advised everyone to try being a Tyrant? Yona: Who Changeling say hello to? Ocellus: ahem. We’ve nearly hit 1,600 followers! That sounds amazing to me! Gallus: Yeah well, I could get 2,000 more in my sleep. Sandbar: You realise you’re PART of this group, too? 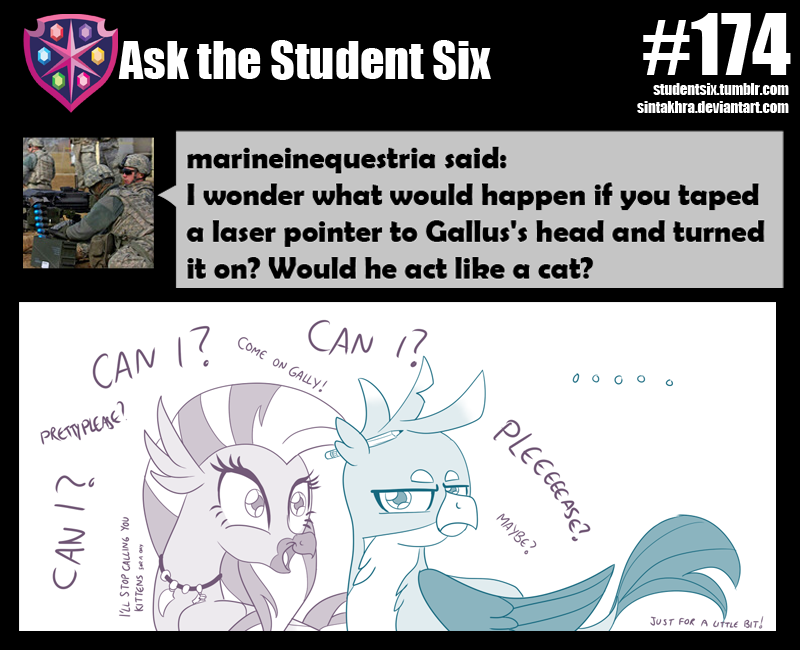 Silverstream: I agree with Gally! He COULD get 2,000 in his sleep. Off to bed with you Gally! I need to go ask Professor Rarity a favour! Gallus: *crunches on crisps* What if you just didn’t TELL everyone you had Infinite bits? Ocellus: You’re suggesting buying -everything- and not essentially displaying that you do? Smolder: Cheers! *chews* Besides. Gems are better than Bits. Yona: But doesn’t Dragon EAT gems? Gallus: You go do that. Ocellus! Catch! 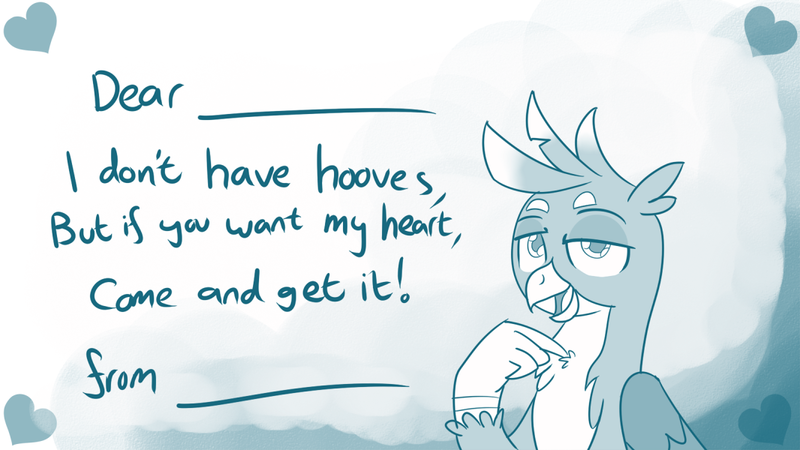 Gallus: Hey Ocellus... is there another strange Equestrian artefact which we haven’t been told of? Sandbar: The Fabric of Fluff? Silverstream: I WANT THAT BLANKET! Ocellus: I-I cannot find anything!!! I don’t understand! 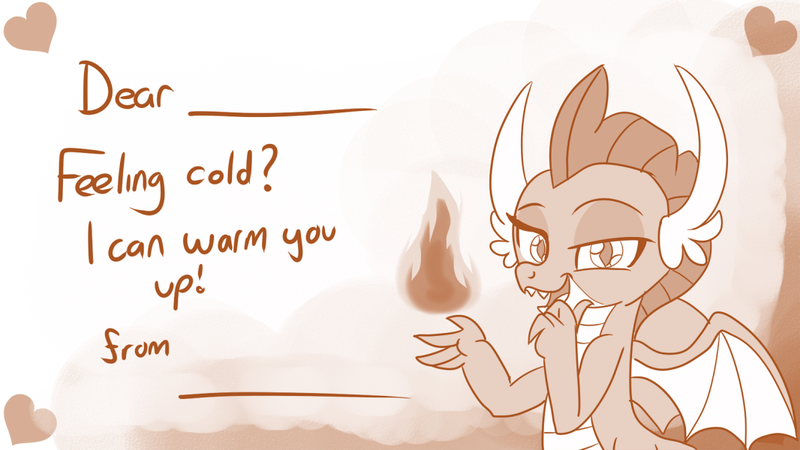 Smolder: I won’t lie. That looks kinda cute. Smolder: Not going to happen. Gallus: Ugh. This isn’t one of those times where we have to share each of our own pictures now, is it? Sandbar: If you don’t want to, I guess there’s no harm in not doing so. I’d need to go home to get one of mine. Yona: Exchange time! Eeeeee! Yona go find one in Yona’s family box in room! Ocellus: *hops around and flutters wings* This will be so exciting! Sandbar: Wow! 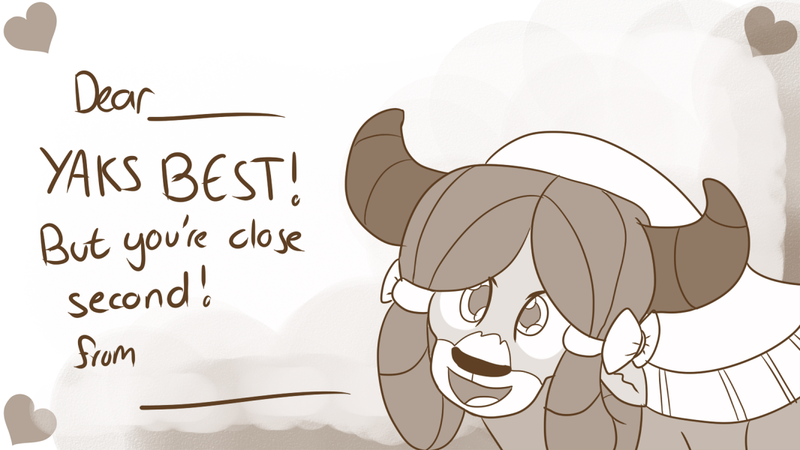 Your hoofwriting was REALLY bad, Yona! Yona: Yak schools not focus on hoofwriting. Yak schools focus on Yak culture! Smolder: Personally, I don’t know how any of you write with hooves. It’s so... wrong. 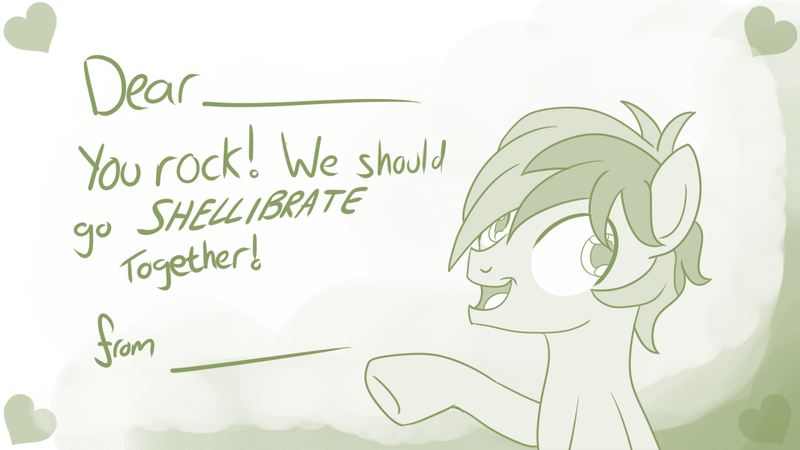 Ocellus: Well hoof-writing is a bit difficult but writing with your mouth is a lot simpler. Gallus: HOW is that simpler? That makes even LESS sense!! How much dexterity can you get in your jaw to write as fast as talons and claws? Silverstream: Don’t forget, some creatures don’t even need to use hooves and mouths! They use MAAAGIC! What’s it like to write using magic, Ocellus? 1365 people visit the site in the last 24 hours, and 3 on this page (refresh at least one time per hour).